Recently, during a routine basement cleanout, a team of our luggers uncovered something that confused them. Since the team included two young men born, one in 1992 and the other 1987, they had never seen such a thing. It intrigued them so much that they sent a picture of it to the call center. 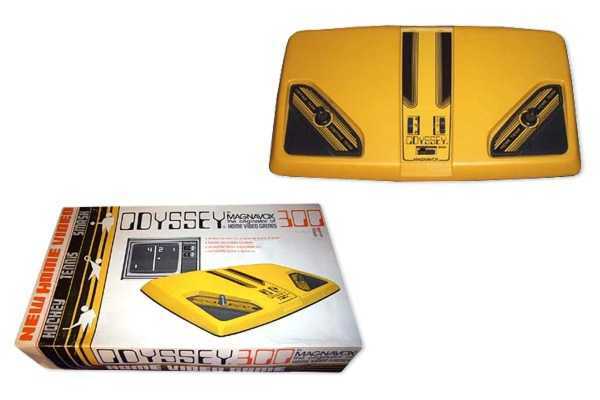 As it turned out it was a game console, a very, very, old, game console, The Magnavox Odyssey 300, circa 1976. Dating myself horribly, I was the sole person to recognize this foreign object as my very first video gaming system, featuring the ever so popular “Pong”. (Did you recognize it? It’s okay to admit it). It was the first of a series of many game consoles in my life ranging from the Atari 2600, featuring “Combat” and “Asteroids”, to the Sega Genesis, featuring Michael Jackson’s “Moonwalker” and the very first of the Madden Football series. Needless to say, they all ended up in the ”Game Console Graveyard” in my parents’ basement. Nostalgia aside, games and game consoles are just one of the many things that end up crowding up your basement, which is extremely valuable real estate. Just imagine what else is down there and the amount of space it’s taking up. Just imagine what you can use that space for, and how long it’s been down there. The Odyssey 300 that was unearthed during that job had probably been down in that basement for almost 25 years along with 25 years worth of life accumulation. Four and a half trucks later, multiple trips to the recycling and donation centers, plus one special stop at Video Games New York to see if they wanted the antique game console and the basement of this average sized home was freed of all its junk, ready to be converted into the “Man Room” the owner had dreamed about all his adult life. So stop living in the past. Get rid of the junk. Make your dreams come true. And get yourself a PS3!